-Author, columnist, critic, linguist, scholar, professor and pioneer diplomat. Renato Perdon, a Filipino author based in Australia emailed to say that Pura Santillan-Castrence passed away last Monday evening, January 17, 2006. She was 101 years, 9 months and 15 days old. Ms. Castrence death is a great loss to us native Filipinos. It seems true, unfortunately, that many Filipinos, at home and abroad, are not even aware of her as I was a year ago. That was only in February 2006, when Renato surprisingly asked me to review two books, one written by Mrs. Castrence and another by him. It was encouraging to me given that I am neither a trained journalist nor writer. Anyway, I did so enthusiastically as I enjoyed reading the two very informative and insightful books Renato sent me: Mr. Perdon's "Brown Americans of Asia" and Ms. Castrence's "As I See It: Filipinos and the Philippines." To introduce these books, please check out my book reviews found in my blogsite posted as: Brown Americans of Asia I encourage everyone to obtain these two books as there is so much to learn about our history, ourselves as a people, at times entertainingly, from their pages. "Certain marks of colonization are still manifested by the people. I have arbitrarily identified these marks as dependence, subservience and compromise." 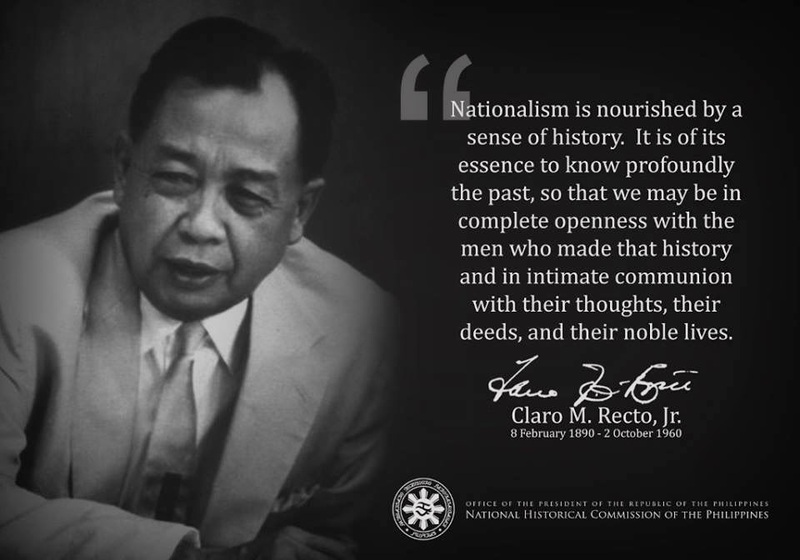 "Only the strong, unrelenting efforts of Filipino people can erase the blemishes to our culture and remove the negative label attached to it. Fortunately, there are concerned Filipinos who, with all their might, attack 'these cultural damages' with the pen and with the tongue. They are unrelenting." Pura Santillan-Castrence passed away, she was 101 years old "Nanay Pura’‘ as she is known among friends and admirers in Australia died in sleep peacefully on Monday evening in the presence of her loving daughters, grandchildren and close friends. Santillan-Castrence, who is scheduled to receive a Dangal ng Haraya Lifetime Achievement Award for Cultural Promotions, one of the highest recognitions from the National Commission on Culture and the Arts, at the 3rd Gawad Alab ng Haraya awarding ceremony on 23 February 2007 at the NCCA Building inIntramuros, left us a legacy that spanned almost 90 years of promoting Philippine cultural heritage. She is survived by her four daughters Lina, Leti, Olivia, Sylvia, and sonsJose, Roberto and Ricardo, and countless grandchildren and great-grandchildren.The forthcoming Dangal ng Haraya award is a tribute to her lasting contributions to Philippine arts and culture. The NCCA has judged Dr.Santillan-Castrence’s commitment and contributions to the field of culture as exemplary. Santillan-Castrence was a prolific essayist, journalist, columnist, critic, linguist and translator; she was also a Barbour Scholar, a pioneer Filipino diplomat, and a university professor. She would have been 102nd years old on March 24, 2007, shortly after receiving the prestigious Dangal ng Harayacitation. Despite her age and blindness, she continued to write regularly for numerous publications such as the Bayanihan News in Australia and The Manila Mail, aweekly Filipino American paper, in Washington, D.C. Her writing career was highlighted with the recent book released entitled “As I See It: Filipinos and the Philippines” - a compilation of the essays on subjects ranging from history to nostalgia. Earlier publications include “Women’s Sense” and “The Women Characters in Rizal’s Novels,” a study on the women who inhabited “Noli me Tangere” and “El Filibusterismo.” Along with other pioneers, Castrence is credited with helping to develop the Filipino essay in English as a potent medium for social change from the1920s to the present. Dr. Nicanor Tiongson, dean of the College of Mass Communication at the University of the Philippines says of “As I See It”: “….there can be nobetter tribute to Pura Santillan-Castrence, pioneering feminist andrespected writer, than the publication of her most recent columns, many of which are valuable eyewitness accounts of events and personalities decisive in Philippine history." Dr. Tiongson agreed that the NCCA award is a recognition of the important legacy of the deceased. For further information about the book, call the Philippine National Historical Institute (5230905) and The Manila Prints, Sydney, Australia(+612-9313 8179. PS. Acquantances and friends found it difficult to get them in the USA and even in our own homeland (I do not know why). Go through your friends and relatives, etc. in Australia or via online.